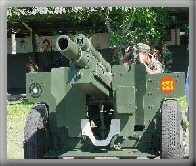 3 way wireless communication system, mortar station, shooting controller, advanced observation scout. 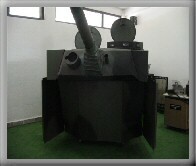 A functional tank turret reproduction replicates an original tank turret including a pneumatic recoil cannon, coaxial machine gun, rotation and elevation controls, trigger devices, periscope and telescopic sight. All the controls are located as in the original turret. 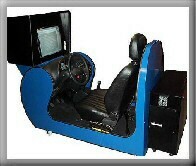 The simulator is an actual reproduction of a real automobile driver´s side, having a functional dashboard and real automobile components.